Siren supercharges Elasticsearch with big data joins, remote data virtualization and true link analysis. A gamechanger for Cyber, Log analysis and much much more. The Siren platform extends core ELK capabilities with in-cluster distributed big data joins, true knowledge graph support (with link analysis), data virtualization of JDBC datasources and much more. Siren’s relational and federation technology comes packaged in the Siren Federate™ plugin for Elasticsearch. Siren Federate™ embedded technologies allow for easy vertical and horizontal scaling without impacting the performance of standard Elasticsearch operations. 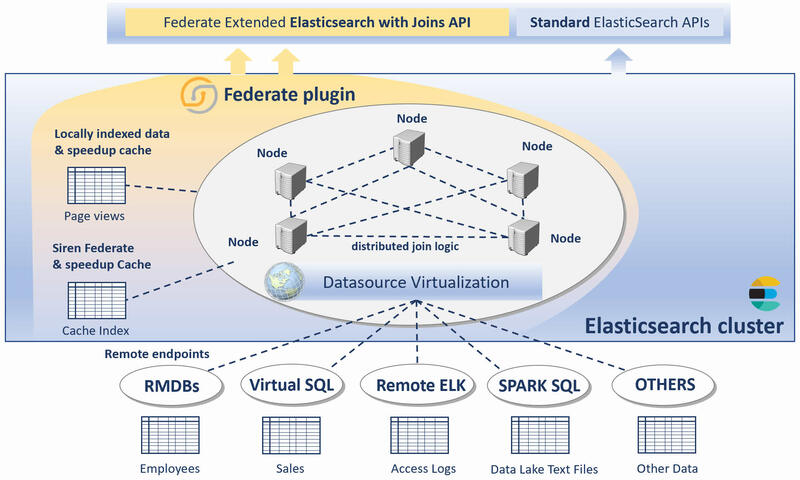 Standard ELK capabilities are further enhanced by data federation where remote JDBC datasources are virtualized and exposed as if they were local indexes (with joins pushed down to the native sources). Relational data navigation and correlation at scale, powered by distributed in-cluster joins. Interactive visualizations beyond Elasticsearch: visualize Elasticsearch data side by side with live data from JDBC sources including RDBMS and more. 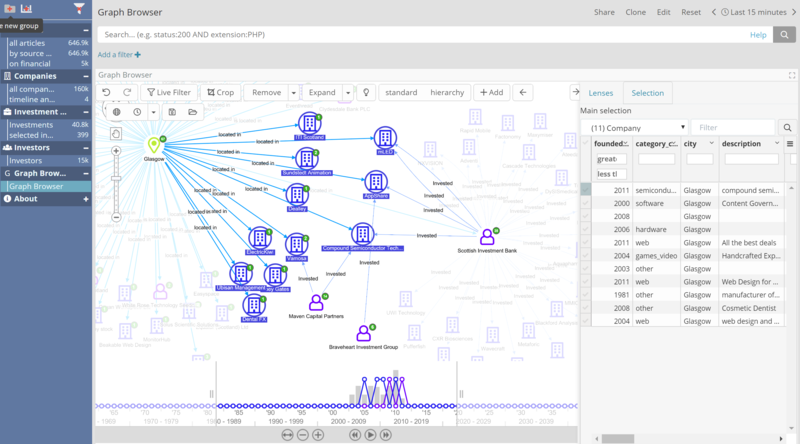 True record-to-record link analysis across back ends, with map, timeline, grouping, and advanced scripting for graph visualizations. Done! The data model now powers the UI with relational cross-dashboard drilldowns and record-to-record link analysis. Siren can be installed on top of Elasticsearch clusters in which free or paid Elastic Subscription packages (formerly X-Pack) have been installed. Siren enhances Elasticsearch clusters with big data, distributed cross-index join capabilities. When indexes are “virtualized” the joins are pushed to the native datasources. Cross-backend joins are performed in memory. Siren “Virtual Indexes” look and behave like Elasticsearch indexes for most operations, but translate and forward queries directly to the remote datasources. Easily go from virtualized index to “reflection index” using our wizard. One click alerts can be activated directly from the dashboards. Customized alerts can be created as deployable scripts. While Siren security capabilities are identical to those of Opendistro, Siren provides enterprise support on this part.